The Center for Education Development, a not-for-profit (501.c3) organization founded in 2005, develops and implements accredited continuing professional development activities for health professionals. Our educational expertise is used to support the development of activities that support both individuals and teams of healthcare providers. This is accomplished through individual activities, educational platforms and the development of Continuous Professional Development Networks. 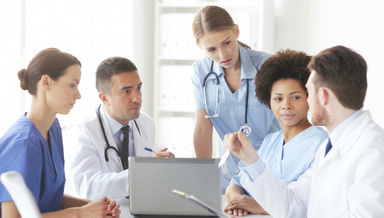 The Center for Educational Development provides Interprofessional Continuing Education (IPE) to physicians, pharmacists and nurses through it's Joint Accreditation status, Maintenance of Certification (MOC) for Internal Medicine physicians, AANA credit for Nurse Anesthetists and COPE for optometrists.